This coffee will be fresh roasted for you. 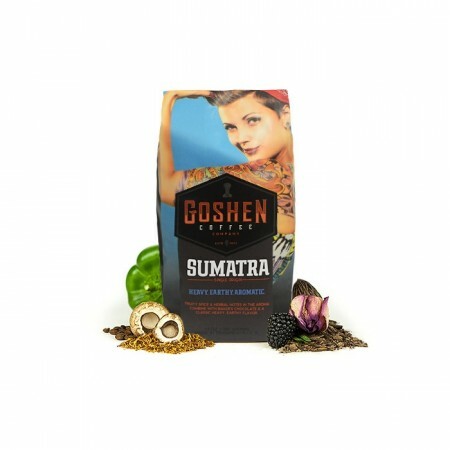 We expect Goshen Coffee Company will roast and ship this coffee in 1-2 business days depending on their roasting schedule. The Sumatra Takengon Mandheling Grade 1 was carefully roasted for you by Goshen Coffee Company. This semi washed coffee was grown by Kilang Kopi Lek Sujimin and Kilang Kopi Haji Warsidi in the Aceh Province region of Sumatra between 1,300 - 1,400 meters above sea level. The cup is heavy and full bodied with distinctive earthy, herbal and baker's chocolate notes throughout. Great selection for me loved the full bodied flavor. I feel like I have to make it stronger to get a full taste. I think this is something I’ve noticed with air roasted beans, is that true? Overall it was okay but I liked the first bag better. Liked it ever since the barista called it "manhandling." To date my Favorite coffee. A wonderful smooth taste. A perfect 10!